Kathmandu, Jan 25 : CPN UML Chairman KP Sharma Oli has said the new government would reject the present government’s decisions that would have long-term implication to the country’s economy and administration. 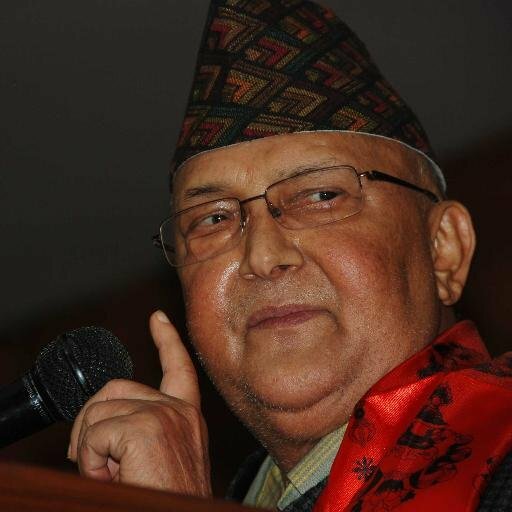 During a press meet organized at party’s central party office, Dhumbarahi, on Thursday, Chairman Oli accused the present government of creating anarchy by delaying the formation of the new government. He wondered why this government was making political appointments and distributing money to the party cadres, thereby causing dent on the State coffers. “Activities ranging from expansion of Cabinet against election code of conduct, prolonging its term, and acting to enfeeble national economy despite being a caretaker government is reproachable,” he underscored. He also objected to the preparation to create additional post of Additional Inspector General of Nepal Police. The party has further expressed concern over the government's decision to reduce age limit to get elderly allowance and provide additional Rs 100,000 as house construction grant. It also shared that a team of the party was studying the reported encroachment of the Nepali territory in its border in Parsa district. Moreover, the UML accused the government of putting lawmaker Nawaraj Silwal at risk. It also made it clear that there was not dispute at all in the party about Komal Oli, a newly entrant in the party. She has been nominated the member of the National Assembly from the party.